Meet some of your best low-sodium friends. 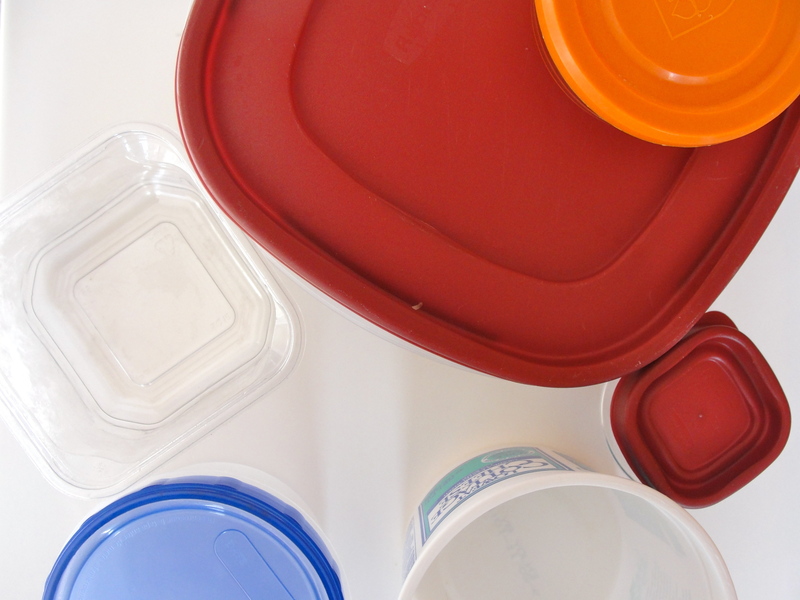 They are plastic containers. And they’ll help you take low-sodium meals wherever you roam. 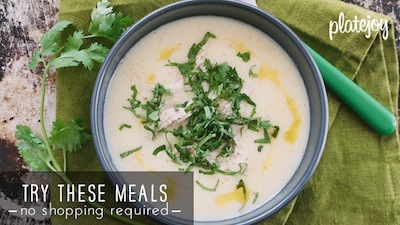 It’s just one trick of many that make low-sodium eating and traveling and dinner party-going possible. 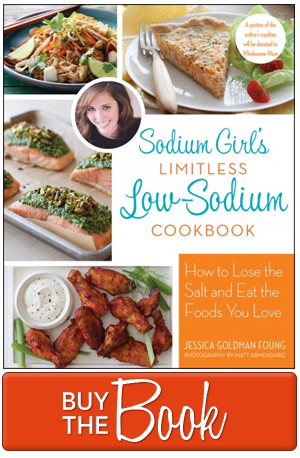 And our low-sodium hero, Chelsea, already picked up on the idea during her first week of low-sodium living. She’s so smart. But enough from me. Let’s hear about it from her…. Greetings from week one of Low-So January! Thanks to SodiumGirl’s guidance, going low-so has been a breeze. The key is making like a boy scout and being prepared. My foray into sodium-free living began at the tailend of an NYE weekend away from home. In anticipation of this tricky timing, I stocked up on fresh produce, future-meal ingredients and low/no-sodium snacks right before my depature. There’s nothing like coming home to an empty fridge to trigger a speed dial to your favorite Chinese take-out spot (I speak from experience, people), so avoiding those pitfalls was my focus for Week 1. Knowing that I would start low-so living on the road, I packed lots of low-so snacks with the help of SG’s guide to Highfalutin and High Flying. Traveling with these goodies made the skies extra-friendly (and watching Friday Night Lights and Coach Taylor on iTunes didn’t hurt, either). While I’m only eight meals (and countless snacks) into this month-long adventure, I have been surprised by how many things actually are near or totally sans sodium, at least when prepared without salt. Pasta, eggs, creme fraiche, a porter house: all allowed in a lowso lifestyle. Love this! Such a great idea and Chelsea – YOU ARE A TRUE FRIEND (all caps). Only someone w/ love in there heart would agree to such a proposal. Wishing you a month of happy surprises and self-discovery. Best of luck!